The Super Bowl, its 50th incarnation now less than a fortnight away, is one of the few remaining events on the calendar that qualify as must-see, appointment television viewing for a mass audience. And many of us come for the commercials as much as the football game. The rest of the year, television viewers—if that’s even an accurate term anymore—have countless options for watching video on a broad range of devices, whenever it’s convenient for them, all at once or in increments. That presents a problem for advertisers, who still spend more on TV advertising than any other category, and increasingly demand the kind of detailed metrics they’ve come to expect from digital media to inform that spending. “Advertisers are sinking $70 billion into television, and it’s becoming harder and harder for them to understand what they’re getting for that because of all the changes,” says Sean Muller, founder and CEO of Bellevue, WA-based iSpot.tv. He describes the company’s approach—which has attracted scores of customers and some $27.8 million in VC funding—as an “ad-first tracking mechanism” whereby viewership, spending, reach, digital ripple effects, and other attributes of TV ads can be measured in real time, regardless of how they’re presented to the TV viewer. Its latest metric, in beta testing with customers for the last six months and set for broad release Monday, measures average view rate—essentially telling advertisers the average length of time, on a percentage basis, that an ad was viewed—regardless of whether it was delivered to your eyeballs through a live, local or national over-the-air broadcast, a set-top box, time-shifted with a DVR, or streamed through an over-the-top service, like Hulu or Roku. ISpot.tv can do this thanks to a digital fingerprinting technology built into the firmware of most TVs sold in the last three to four years. It is drawing data from upwards of 10 million TVs. That fingerprint indicates the content being displayed on the screen on a moment-by-moment basis, whether it be a program or commercial. The company’s technology makes sense of those fingerprints, matching them to ads in its comprehensive iSpot.tv catalog, and thereby identifying where and when the ad is displayed on a screen. The company layers on its own data to determine program context and whether a given ad was part of a national or local campaign, among other attributes. The goal is to make the TV set essentially just another digital video player for purposes of measurement. Indeed, average view rate, the company’s new offering for TV ads, is a standard measure of digital video. The technology has been particularly helpful to iSpot.tv’s movie-studio customers, who might publish dozens of different variations of a movie trailer as commercials. In the past, they would have to do viewer surveys and other old-school research to determine which variation resonated with the intended audience. “We’ve got lots of movie studios now relying on this average view rate data to make decisions on which creatives are working for which audiences,” Muller says. On advertising’s biggest stage, the Super Bowl, the goal is the same as it has been for years now, Muller says: generating digital engagement with those ads, which were selling for up to $5 million per 30-second spot for the Feb. 7 game on CBS, pitting the Denver Broncos against the Carolina Panthers. 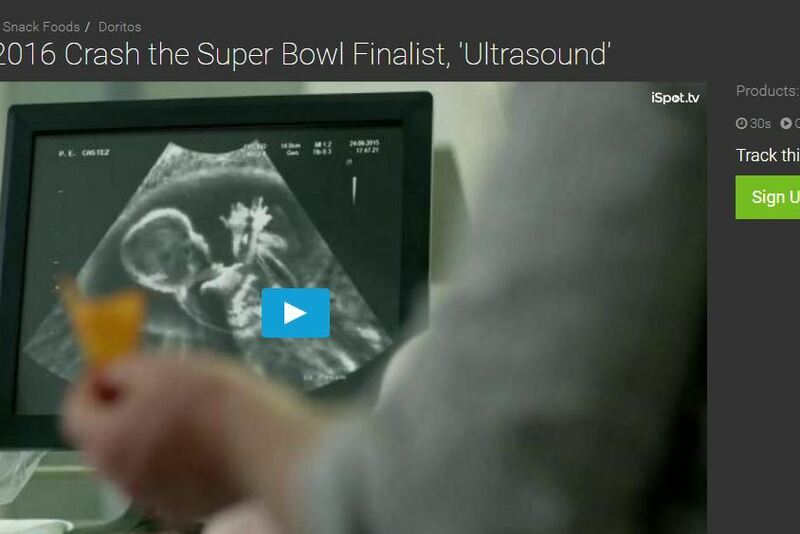 “Super Bowl ads create a massive digital buzz with additional earned video views, with social chatter, with searches,” he says. Advertisers are releasing more of their Super Bowl ads, or teasers for ads—yes, we live in a world of previews for commercials—well ahead of the game to build buzz. ISpot.tv, which launches its comprehensive Super Bowl advertising report today, has for several years measured that online impact, alongside its tracking of the companies airing Super Bowl ads and how much they’re spending. Starting this year, the company will also measure Facebook private conversations, and, of course, its new view rate metric. “Were there some ads where people tended just to flip the channel, or were there some ads that people kept rewinding and watching over and over again?” Muller says.